Sautéed red onions, green beans and corn seasoned with red pepper flakes, hot paprika, black pepper and smoked salt and topped with sliced tomato and a sprinkle of feta cheese can be your dinner in about 20 minutes–leaving plenty of time for the 200 pages you have left to read before tomorrow’s class. 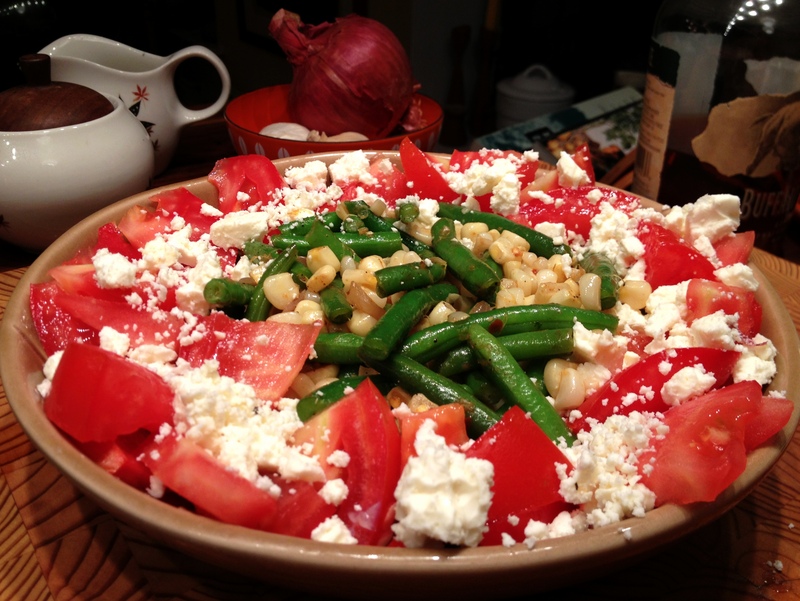 This entry was posted in main courses, quick lunch, vegetarian and tagged corn, feta, green beans, tomatoes by Jasmine Nielsen. Bookmark the permalink.